Building the next generation of compression. WaveOne is reinventing compression of digital media. We are leveraging the latest advancements in machine learning and deep learning to create custom-tailored, context-dependent solutions. Nov. 2018: We are excited to share results on video compression. See the associated post here. Sept. 2018: See our blog on compression of faces here. May 2017: We published our image compression results to ICML 2017. See the associated post here. Lubomir holds a Ph.D. from UC Berkeley, 20 years of professional experience, 60+ issued patents and 10000+ citations. He was a founding member of Facebook AI Research, and founded and led the Facebook AML computer vision team. At Facebook he led the development of the image and video content recognition engine, which is run on every photo and every second of every video to infer objects, scenes, places of interest and activities. Prior to Facebook, Lubomir was a Senior Research Scientist at Adobe Research where he led development of numerous computer vision and graphics features in Illustrator, Photoshop, Acrobat, InDesign and other Adobe products. Lubomir likes biking, hiking and traveling. Oren holds a Ph.D. from MIT, and was a research fellow at Harvard as part of the Harvard Intelligent Probabilistic Systems group. He specializes in machine learning, with expertise in deep learning and Bayesian optimization. Oren holds a B.Sc. in Combined Honours in Mathematics and Physics from UBC, where he was the valedictorian of his class. Oren is a recipient of the MIT Presidential Graduate Fellowship, was recognized as a Wesbrook Scholar, is a recipient of the Millennium Excellence Award, and was ranked 5th in Canada in the CAP Physics University Prize Competition. He can often be found training in Krav Maga, skiing, and learning new languages. Alex received his Ph.D. from UC Berkeley where he studied the information processing strategies employed by the human visual system, machine learning implemented on non-traditional hardware, and noisy time series prediction. Alex has been recognized as an NSF Graduate Research Fellow, a Goldwater Scholar, and a Compton Scholar, and placed 26th in the 2012 Putnam Exam. He has been active in teaching, outreach, and mentoring. In his free time, he can be found Bollywood dancing, reading about entrepreneurship and self-improvement, and eating all kinds of tasty food. Steve received his Ph.D. from UC San Diego, and was a postdoctoral researcher in the Caltech computational vision group. He holds M.S. and B.S. degrees in computer science from Stanford University. His background is in computer vision, machine learning, and crowdsourcing. He has worked on several projects that combine research in computer vision with large-scale practical applications such as Merlin Photo ID, RegisTree, and Visipedia. He spends much of his free time rock climbing and also enjoys hiking and playing soccer. Josh will soon receive his Ph.D. from the University of Washington, where he specializes in enabling deep learning on resource-constrained platforms through the development of novel architectures, approximating algorithms, and hardware aware scheduling. He holds a B.S. with honors in Electrical Engineering and Computer Science from the California Institute of Technology. Josh was awarded a Microsoft Research Graduate Fellowship and was one of the inaugural Amazon Catalyst Fellows. In his free time, Josh can be found at the park with his dog Bowser or playing board games with friends. Carissa received her Ph.D. from Stanford University and spent some time on a Postdoctoral Fellowship at UC San Francisco, specializing in medical imaging research and signal processing applications. She has accumulated 10 years of experience across multiple disciplines in embedded application and research, working in a gamut of industries in mixed reality, medical device, ASIC chip, and aerospace. Before joining WaveOne, Carissa was a Lead Software Engineer and has grown to be a respected engineering leader. She enjoys skiing and watching movies. She may also be seen running around various parts in Silicon Valley. Sanjay holds an M.S. degree in computer science from University of Southern California, and has 15+ years of experience. He joined WaveOne from Microsoft, where he was a Senior Software Engineer as part of the remote desktop (RDP) core video codec team. At Microsoft, Sanjay's team led the effort to port RDP to use standardized codecs, which resulted in proliferation of RDP technology across operating systems and devices. Prior to Microsoft, Sanjay was part of Intel’s graphics and camera group where he held several technical and management leadership roles. At Intel, he led the development of Firmware Development Kit, which enabled customers to accelerate their algorithms on graphics and camera hardware. In his spare time, he enjoys yoga, music and playing volleyball. Dr. Trevor Darrell is on the faculty of the EECS Department at UC Berkeley, and is a Managing Director of the Berkeley Vision and Learning Center. Darrell’s group develops algorithms for large-scale perceptual learning. He was previously on the faculty of the MIT EECS department, where he directed the Vision Interface Group. Vinod Khosla is an entrepreneur, investor and technologist. After graduating from the Stanford Graduate School of Business, he co-founded Daisy Systems, and co-founded and was CEO of Sun Microsystems. 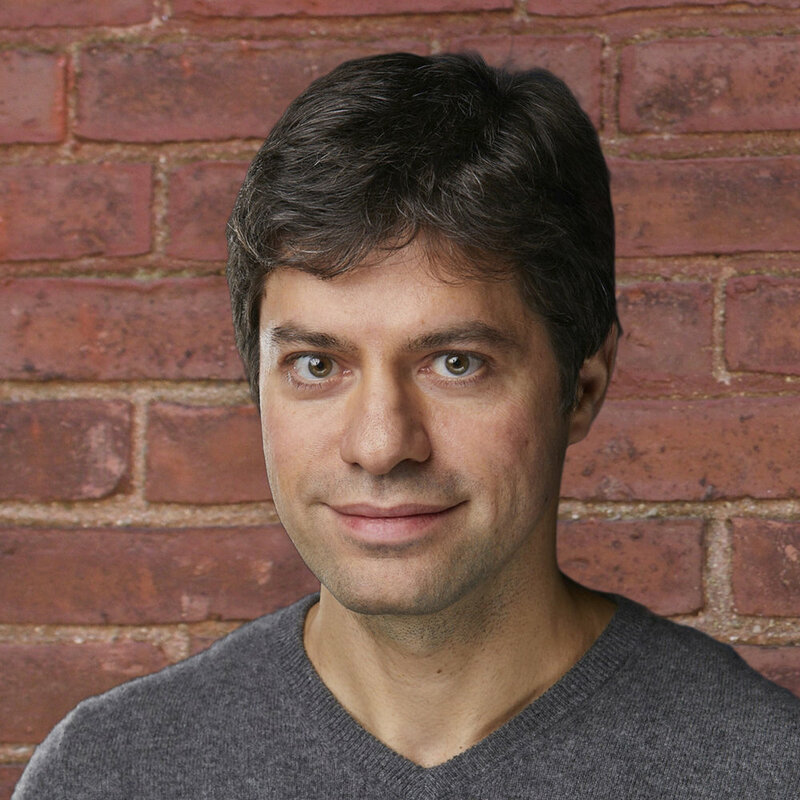 He formed Khosla Ventures to focus on both for-profit and social impact investments. Dr. Bruno Olshausen is a Professor in the Helen Wills Neuroscience Institute, the School of Optometry, and has a below-the-line affiliated appointment in EECS at UC Berkeley. He directs the Redwood Center for Theoretical Neuroscience, a multidisciplinary research group focusing on building mathematical and computational models of brain function. We are a small and focused team looking for superstars to join us on this journey. We are looking for machine learners as well as high-performance engineers. If you are up for a challenge please reach out!